Our hand crafted technique to make the brows look as natural as possible will fill in even the most sparse, patchy brows. Our eyebrow artist will provide you with an in depth consultation to achieve your perfect brow shape and to ensure that the eyebrow is natural looking, like your own brow. This treatment will give you fuller, natural looking brows that will still look gorgeous even when you’re not wearing make-up! Perfect for people who start to lose hair density of the brows, or even if they were waxed really thin in your teenage years! We also cater for old tattoo that need to be touched up utilising the existing pigment. The initial process takes approximately 75 minutes including consultation. We using numbing cream to ensure your comfort. 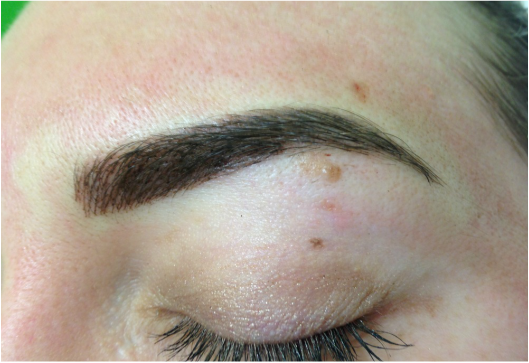 Talk to our eyebrow artist today so that you can be on your way to your perfect eyebrow shape! Why and What is Embroidery? Embroidery is not a new technique in beauty world. It is the inverter of tattoo using different technique to leave the pigment natural and blend in well. The end result is translucent and beautiful; enhances your natural beauty. 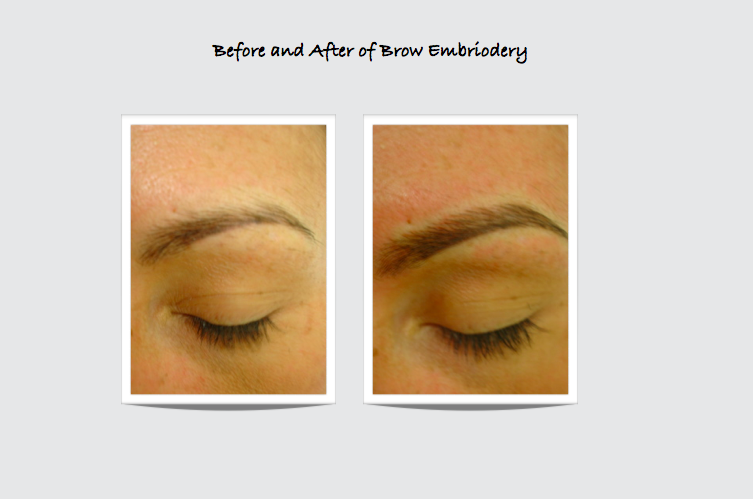 Embroidery is done on many parts of the body including, Eyebrows, Lashline, Whole Lip, HairLine etc.